Optimal Rugby Performance is a digital download product designed to go beyond your Free Rugby Fitness Training Guide and supersede my published book which is now 10 years old (Training has developed a lot since then). This digital download product covers EVERY aspect of training and will greatly improve your fitness and therefore rugby performance. Increase strength, power and core strength. Achieve high levels of aerobic fitness and game fitness. Six month’s worth of training plans (30 weeks of training plans). Different plans for the off-season, pre-season and rugby season. Testing procedures to identify your strengths and weaknesses. Underlying theory about training, the body and Periodization. Nutrition advice covering what to eat, how much to eat and what foods to avoid. A one week nutrition plan which has helped many players lose between 3 and 10 pound (1-5kg) in just a week. Mental strategies to supercharge your motivation to achieve your goals and enjoy what you are doing in the process. bonus. In this I outline the key concepts and points from the e-book that you need to be aware of if you want to maximize your performance levels and results obtained. further insight and tips for success. 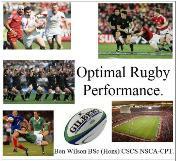 can dramatically accelerate and transform your rugby performance. Bonus gift #2 – Optimal rugby performance stretching guide. Flexibility is an area most rugby players tend to ignore. In this special bonus guide I have put together an active and static stretching routine. it include a posture analysis and gives the A – Z of stretching and using it to prevent injuries and maximize performance. Upon Purchase you will be redirected to the receipt page where you must click the writing at the top of the screen saying “Access my products”. This will redirect you to the download page. I will also send you an email when next at the computer (usually within 24 hours of purchase). Please ensure your given email is correct and chek your junk mail folders. If you would like to read the first chapter then simply put your name and email in the link below and I will send you the first chapter for free. I will also give you the link to listen to both the chapter one and introductory audio recordings.